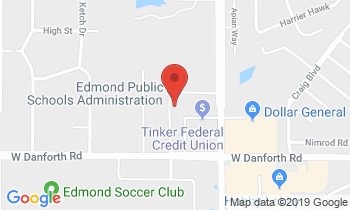 Edmond Public Schools is the third largest and fastest growing district in Oklahoma, serving more than 25,242 students The district has 17 elementary schools, six middle schools, three high schools, two alternative high school programs and an early childhood center. The district has purchased land east of I-35 to build additional schools, which could include a fourth high school which will be located on the southeast corner of Air Depot and Covell. The new high school will open sometime in the next five or six years.